Seymour Jewelers has been in business in downtown Hermosa Beach since 1950, when a young World War II veteran from Brooklyn named Seymour Bilowit walked by an empty storefront and decided to start his own full-service jewelry store. 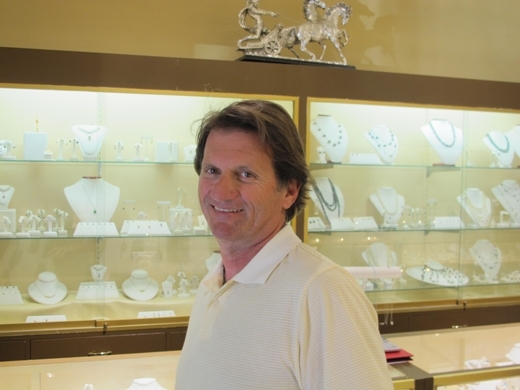 His son, Scott Bilowit, has continued the family tradition, which focuses on creating highly customized designs that include recycling and refashioning old jewelry into new designs and listening closely to customers to fashion the kind of beauty that has meaning. Bilowit strongly believes that what he sells transcends the stone and metal of the jewelry itself: he sells beauty, love, and memory in every piece that leaves his store. His father, Seymour, is 93, but remains involved with the store. Bilowit wears his father’s Mason ring every day to work, and calls him every morning while having coffee at the King Harbor Yacht Club to discuss matters. “Just wearing his ring, I feel close to him,” Bilowit said. Seymour Jewelers: 1212 Hermosa Ave. Hermosa Beach. 310-379-5401. Runner-up: Morgan’s Jewelers, 22200 Hawthorne Blvd., Torrance. 310-375-4471.